I found this film in a bargain bin in my local DVD retailer with a rather inviting £3 sticker on it. As such, I snapped it up and set about making it the latest in the long line of found footage style films on my watch list. Apartment 143 follows the story of Alan White and his two kids, Caitlin and Benny. Alan moves his family into the small apartment to try and escape the strange occurrences that have plagued the family since the death of his wife. Upon moving however, the hauntings continue. Desperate, he calls in a group of parapsychologists to try and explain or even help the family get through this difficult phase. The group consisting of Dr. Helzer and his two assistants Paul and Ellen start setting up all sorts of technical equipment around the apartment to monitor and document everything. Hoping to find either some compelling evidence or to just help put the families’ worries at ease, they soon get more than they had ever hoped for! Ok, basics out of the way, now down to the brass tax. 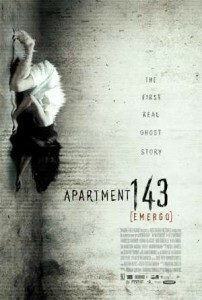 Essentially, Apartment 143 is another film in the long list of found footage haunting stories. 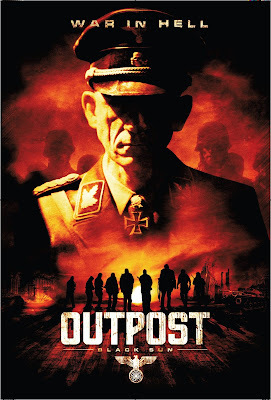 A solid cast is able to carry the film quite well throughout its 80 minute duration even if the dialogue is a bit hammy. The main plus point for this film has to be the level of atmosphere that is generated. A tension that can only be garnered from good filmmaking and good filmmaking is exactly what I witnessed in Apartment 143. Its high levels of atmosphere could also be construed by some as slightly slow or maybe even boring but in my opinion sometimes less is more. I was not a great lover of Paranormal Activity as such but the concept and the delivery really intrigued me. Similarly with Apartment 143, it does tend to fall slightly towards its conclusion but less so than in others. There is not a massive amount of special effects but when we do see something, it is very impressive. One scene in particular made me jump. I won’t tell you which, if you’ve seen it you may know which bit I am referring to but it again was an example of good filmmaking because even though I could see it coming from a mile away, it was done in such a way it still made me jump! For me, that’s filmmaking! For so many years atmosphere and tension has been sacrificed for poor music and scares that fail to have the kind of impact that many good directors are able to have nowadays. It is very hard to try and pick enough to say about a film when all the best bits could be considered spoilers. My outlook being such that I avoid giving away too much about the film otherwise I would be just another critic with an opinion. This way I’m just a film lover with an opinion! In essence, Apartment 143 falls slightly short of its reputation as a great haunted house film but where so many others have failed miserably, this one at least comes close. 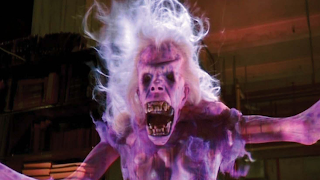 It constitutes an all-round enjoyable mix of ghostly occurrences and demonic possession. 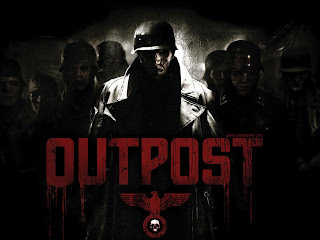 I would recommend this film to anyone who is a fan of the sub-genre or even those who are a bit reluctant to embrace the new breed of horror film. It is my hope that the found footage film continues to evolve and maybe one day we will have something to rival the very best.